When Vanessa and Kalpesh decided on Hedsor as a wedding venue, they were taken in by the glorious views and the privacy of the estate. Their wedding was a superb fusion of English traditions and colourful Indian culture, with afternoon tea and an Indian-inspired floral displays. And the wedding featured a fair amount of something both cultures enjoy: dancing ‘til the early hours! We spoke to Vanessa and Kal to find out more about their special day at Hedsor. “When we drove up the long driveway of Hedsor House we were totally blown away. As we looked around the beautiful interior we could really see how we could make our day come to life there – all in one venue. This was not something we had found at other venues where there would be logistical challenges or the layout of the venue would not allow our day to flow smoothly. What completely sold it for us was the absolutely beautiful Bridal Suite; it is such a beautiful and peaceful space to get ready in. 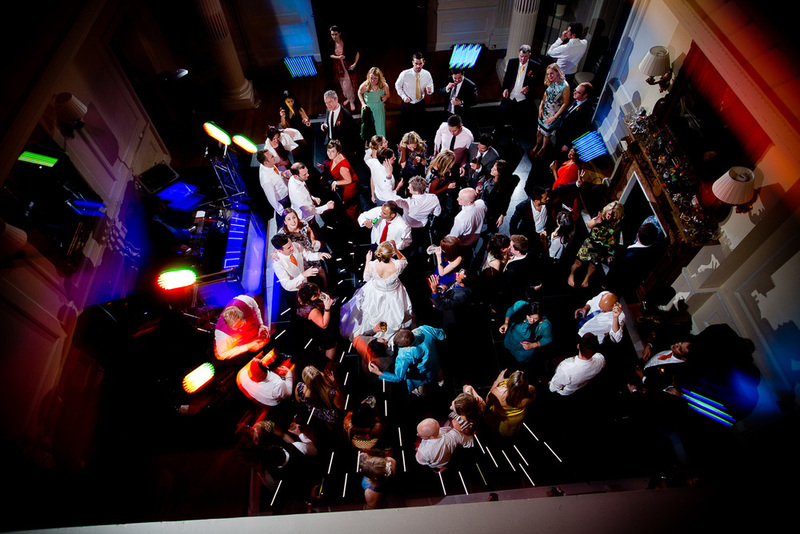 And walking down the gorgeous spiral staircase to your ceremony in the magnificent domed Centre Hall is just so special." The Flowers: The flowers were from Hot Flowers and Art, and surpassed all of our expectations. They were a beautiful vibrant hue of autumnal colours. When the bouquets were delivered to the Bridal Suite, it was a perfect moment. I was so pleased, and it really felt like all our plans were coming together! The Ceremony: To achieve our goal of representing both of our cultures, we had two ceremonies: a traditional civil ceremony for 80 guests followed by afternoon tea in the Drawing Room, and a Hindu ceremony for 130 guests with a stunning flower-framed Mandap. We had both ceremonies in the Centre Hall, but both looked completely different. This showed the versatility of Hedsor that we could have two diverse ceremonies in less than four hours! We changed the layout of the room so guests faced the other way for the Hindu ceremony – it was full to the rafters with a really different feeling. After the Hindu ceremony, our guests enjoyed a Prosecco-fuelled reception while we took a welcome and relaxing break by having our photos taken in the grounds of Hedsor House – all credit to our photographer Tony Hart for making this part of the day special and relaxing. The Entertainment: Topping off the day of the union of our two cultures was our first dance, which was a traditional ballroom dance topped off by busting into some Bollywood moves! The dance was not at all well-polished by us, but we wanted to create a fun atmosphere for the ensuing disco, which we are told that we did! We kept the entertainment simple with a DJ, Chintz Garcha from Showcase Weddings. Something our guests (and we!) loved was the sparkly dancefloor that we got to party the night away on. It was perfect to be able to celebrate in style in the same Centre Hall that we had conducted our two ceremonies in earlier in the day. Chintz was great at banging out the tunes that kept a real party atmosphere and a full dancefloor until the very last song! A perfect end to a perfect day. Huge thanks to Tony Hart for permission to use a selection of photography from Vanessa and Kalpesh's special day!